Here at Passiflora Healing Arts, we are passionate about supporting & nurturing families through the early days of parenthood. We value evidence based information and individualizing care to each family’s specific needs. It is our greatest joy to nourish mothers & families and treat babies gently as they are conscious sentient beings. 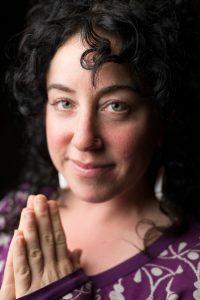 For the past two decades, Tzipora has practiced as a licensed homebirth midwife, Craniosacral provider, postpartum doula, herbalist, and yoga teacher. She is passionate about maternal & infant healthcare as well as providing an empowered care provider experience. *Placenta encapsulation, prints, and tincture.